Richard Stephens is one of my life-long spiritual parents. What my Mom and Dad did for raising and nurturing me physically and emotionally, Richard and Dee Dee Stephens did for me spiritually. Mr. Stephens is not an evangelist. He’s not a preacher or a pastor. But he has touched more lives for the Kingdom than many full-time pastors. How? What does Mr. Stephens do? He’s a used car salesman who loves Jesus with all his heart, soul, mind, and strength. For more than 45 years, Mr. Stephens has worked full-time in the automobile industry. First, in the maintenance shop, then in sales, then in owning his own dealerships. He is business-savvy, wise, hard-working, trustworthy, thick-skinned, decisive, courageous – an excellent manager of people, processes, and inventory – respected by both peers and competitors alike – everything you would imagine a solid, successful entrepreneur to be. He runs his dealerships with excellence and integrity, expecting the best of his employees, providing the best he can for his customers, and competing among the best in his industry for top sales awards and customer satisfaction ratings. 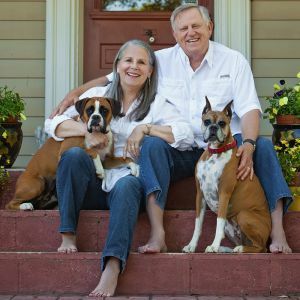 Like most entrepreneurs and small business owners, Mr. Stephens has spent 40-60 hours each week of the past 45 years in the secular world of bottom lines where cash is king. Yet he has done so faithfully and selflessly as Christ’s ambassador. Truett Cathy. Jim McMichael. Lev Norman. Sam Bishop. Jim Walls. Richard Illges. Tyler Myers. Kim Sheek. Ritchie White. Spud Alford. Matt Robertson. I could go on and on! Men and women who go the extra mile to be Godly examples and influencers within their industries and businesses. Who treat their employees with high levels of value and respect, as God’s beloved ones. Who do their work as unto the Lord, and whom have dedicated their business to God’s service and glory. Whose examples leave people feeling more fully alive and eternally valued. Who leverage their resources for the benefit of others, both locally and abroad. …but there is just something uniquely impactful about the Christian man or woman who works full-time “in the world” – in the midst of the world’s economy and demands and expectations, and most importantly, in the midst of the world’s people – all day every day, as an example of Christ’s love and integrity and generosity and grace. Like Richard Stephens has for nearly half-a-century. The need is every bit as great in the American marketplace for strong, Godly influencers as it is on any foreign mission field around the world. Indeed, the calling to be the best example for Christ you can be within your industry is every bit as “spiritual” and significant as the call to launch out into foreign missions. If God has called you to manage a store, start a business, invent a new product, provide a needed service – then embrace it! 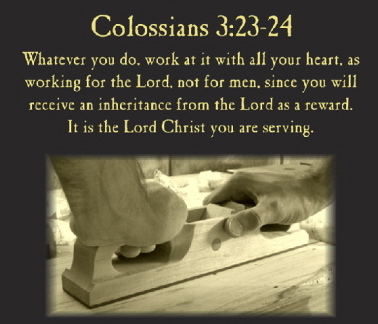 And work at it with all your heart, as unto the Lord. You will have the potential to touch as many lives for eternity – right where you are – as do missionaries serving abroad.